Ladies and gentlemen, start your engines of fury because the 2016 Emmy nominations are in. By and large, the Television Academy did a decent job with nominations this time around. This year #EmmysAreFairlyDiverse with a number of people of color nominated across the performing categories. Where the Emmys do falter is that they traditionally reward familiar faces, even after those performers and shows are past their worthiness. Surprise inclusion: Mr. Robot got a lot of love in the drama category. I’m surprised the voters have that good a memory. Who got robbed: The big four networks, with an all cable/streaming pack of nominees. You’d think a popular show like Scandal or How to Get Away with Murder would crack the list. 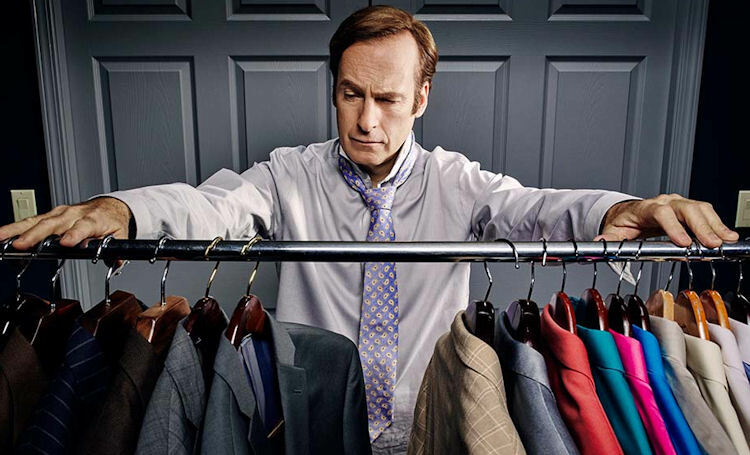 Odds-on favorite: With its revival season, Game of Thrones will be a popular favorite, but voting patterns point toward an AMC show, so Better Call Saul it is. Who got robbed: … considering another Emmy regular, Damian Lewis, was out there for his work on Billions. Odds-on favorite: Seeing Jimmy McGill’s battle with his brother and his transformation into Saul Goodman is going to be too good for the voters to pass up this year. Who got robbed: As we’ve said previously, Krysten Ritter’s performance on Jessica Jones, while polarizing to some, was truly deserving of a nomination. Odds-on favorite: Davis will be one of network TV’s few wins on Emmy night. Surprise inclusion: While we all love Dinklage’s Tyrion Lannister, he really didn’t do much this season. Who got robbed: During Homeland’s up-and-down run as a series, Mandy Patinkin’s Saul has been rock-solid consistent, compelling, and perpetually worthy of award consideration (Cindy’s note: Don’t even get me started; HOW is Outlander‘s Tobias Menzies not a nominee? Madness, that’s how. Ditto, Homeland‘s Rupert Friend). Odds-on favorite: Banks, Mendelsohn, and Harrington are all worthy of winning, which means the award will probably go to Voight … again. Surprise inclusion: If you’d guessed which of the Stark daughters would get a nomination this year, Arya would have been a distant second. Williams did get a lot of screen time and made the most of it. Who got robbed: Rhea Seehorn was fantastic on Better Call Saul this season. Her exclusion is one of the bigger snubs of the year and, obviously, Sophie Turner’s name belongs on that list (Cindy’s note: Outlander‘s Caitriona Balfe should have been a lock for a nomination). Odds-on favorite: The Thrones trio will split the vote, giving Tierney the win. Surprise inclusion: Although it was praised by critics when it was released, it is a shocking to see Master of None get a nomination, which bumped Big Bang Theory out of a slot. Who got robbed: With the inclusion of Jason Sudeikis to its cast this season, Last Man on Earth was consistently one of the best watches every week. Odds-on favorite: Transparent, hands down. Surprise inclusion: After being ignored (along with the rest of the cast) on Parks and Recreation, seeing Ansari’s name on the list was a pleasant surprise. Who got robbed: It feels like the first time in, like, forever that a member of Modern Family or Big Bang Theory didn’t get nominated. I’m sure somebody is upset about that. Odds-on favorite: It’s Tambor’s to lose, without question. Surprise inclusion: Tomlin was a regular on Laugh-In, so scoring a nomination for a show on a streaming service is a minor miracle. Who got robbed: In a snub that we here at the Labs called, Rachel Bloom’s work on Crazy Ex-Girlfriend won her a Golden Globe and should have been enough for an Emmy nomination. Odds-on favorite: Remember New Adventures of Old Christine? Louis-Dreyfus won an Emmy for that. Emmy voters love, love, love, love, LOVE them some JL-D. Surprise inclusion: Although he is the guy who literally makes Kimmy Schmidt sing, Burgess’ inclusion is a little surprising. Who got robbed: Thanks to cast changes and maternity leave, Lamorne Morris’ Winston finally got some of the spotlight on New Girl. He was the glue that held that show together last season. Odds-on favorite: The heart says Anderson, but the head says Hale. Surprise inclusion: The best highlights of SNL this year came when they caffeinated McKinnon up and just sent her out to be weird. Happy to see the Emmy voters value that. Who got robbed: Master of None does not work without Ansari’s effortless chemistry with Noël Wells. She was simultaneously hilarious and heartbreaking while turning in some of the best performances on the series and in the TV season. Odds-on favorite: Emmy voters love Janney almost as much as Julia Louis-Dreyfus. Surprise inclusion: American Crime has the least wow factor of any of the nominated shows. Who got robbed: This is the first time in a while some version of American Horror Story hasn’t been nominated. Odds-on favorite: In a year when race is on everybody’s mind, The People v. O.J. will resonate. Surprise inclusion: While Cumberbatch is a brilliant Sherlock, this year’s installment was rather meh. Who got robbed: Oscar Isaac had a great year and Show Me a Hero was a big part of that. Odds-on favorite: Vance’s Johnnie Cochrane was electric and will crush the competition. Surprise inclusion: Better known by theater lovers than TV watchers, McDonald’s role in the HBO film was good, but the movie itself didn’t exactly set the world on fire. Who got robbed: No real complaints here. Odds-on favorite: This one belonged to Dunst for a hot minute, but then Paulson’s Marcia Clark stepped in and dropped the mic. Surprise inclusion: Schwimmer, because I could put a white streak in my hair and say the word “juice” 76 times. Who got robbed: The exclusion of Zahn McClarnon’s Hanzee Dent makes everyone here at the Labs sad and a little angry. Odds-on favorite: As much as we are loathe to say it, Travolta. Surprise inclusion: This category went pretty well by the numbers. Who got robbed: Since she also won a Golden Globe, Lady Gaga, I guess. Odds-on favorite: It’s going to be a Paulson sweep, all the way.